Portraiture and the human figure are perennial themes in art, reflecting a human fascination with our own likeness and lived experience. The UTS Art Collection, like most university art collections, has a number of portraits in its holdings, the majority being commissioned paintings recording the leadership of the uni by our Chancellors and Vice-Chancellors. Unlike these official portraits, however, is Sleeping Muse. This recent addition to the collection is a life-sized bronze self-portrait by Sanné Mestrom. Sanné was born in the Netherlands, but is now based in Melbourne. Her practice has attracted international recognition and awards in recent years, including the 2017 Woollahra Small Sculpture prize for this particular work. It was created last year as part of a body of work inspired by her own journey through pregnancy. The sculpture was originally conceived as a direct mould of the artist’s likeness, but suffered unexpected misadventure when the first casting was snatched by the family dog. The resulting damage – chewed, missing ears and nose, and smoothed to an egg-like shape through its abuse – transformed it into something at once ravaged, yet beautiful. Sanné recognised this beauty and its similarity to the iconic Sleeping Muse by modernist sculptor Constantin Brancusi, hence the shared title. 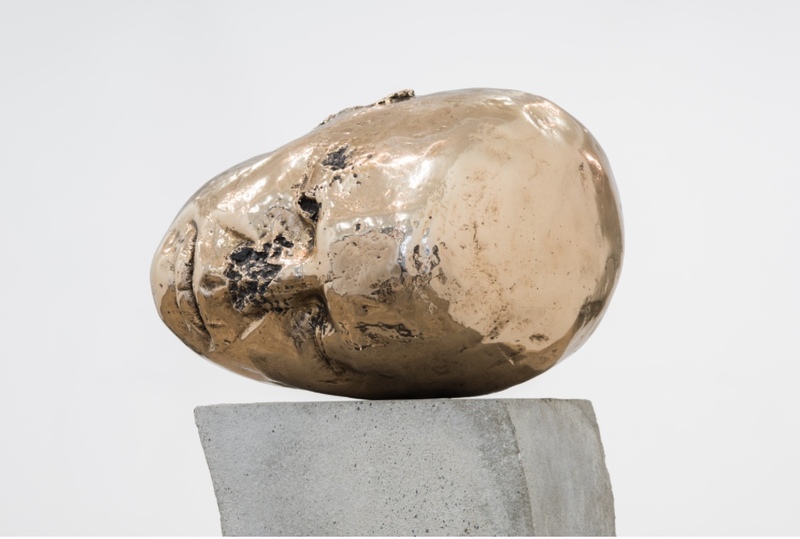 Fixed in bronze, Sanné’s self-portrait appears a poignant relic, androgenous and timeless. Art & U profiles a piece of work from the UTS Art Collection every issue.